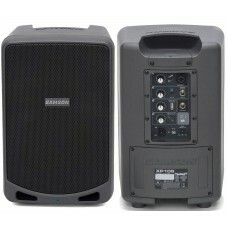 Portable Power.Samson's Expedition XP1000 Portable PA system is an all-in-one sound system with incr..
You Are Now Free to Roam About the Stage.Samson's AHX Fitness Headset system offers frequency-agile .. 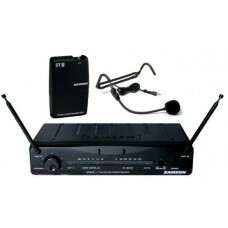 The AirLine 77 UHF Headset System offers a true wireless experience with no beltpacks and no cables,..
Get Physical, Go Wireless.Samson's AirLine 88 AH8 Fitness Headset system offers true wireless freedo..
Samson Concert 88 Bodypack wireless mic system with Frequency-agile battery-powered receiver and QE ..
Samson’s Concert 88 Headset System offers a high performance UHF wireless solution.The frequency-agi..
Samson's Concert 88 Headset Wireless System offers a high-performance UHF wireless solution where th.. 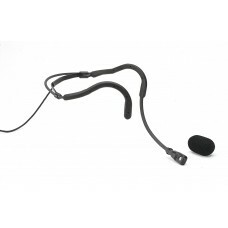 Specifically designed for aerobics and fitness training, the Qe headset mic is light, comfortable an.. 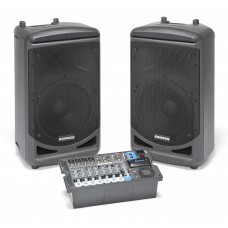 Mix It UpSamson's SM4 is a half-rack, 4-channel line mixer designed to easily integrate into any ins..
Samson's Expedition XP106 Rechargeable Portable PA is packed with incredible features, including Blu.. 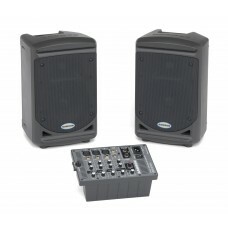 The Expedition XP150 offers a PA solution that combines powerful stereo sound with portability and s.. 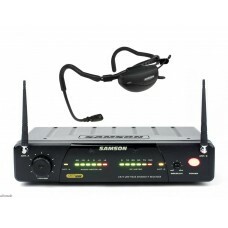 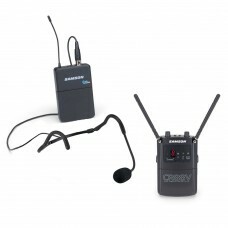 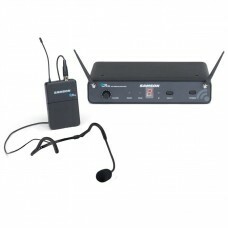 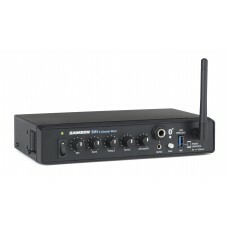 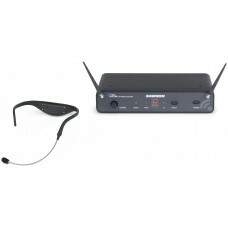 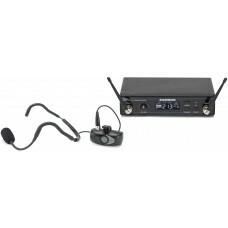 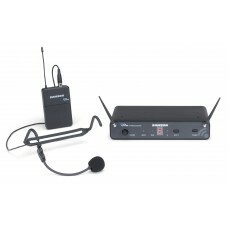 The Samson Stage 55 Wireless System with headset microphone gives you impressive sound quality, reli..